The most crucial responsibility of any hosting company is data security and integrity. Continuous data availability can be at risk during situations such as HW failure, malware attacks, unauthorized access etc. Our backup management plans offer implementation of efficient backup solutions for your control panel enabled servers and for custom backup solutions such as R1soft. Helpdesk is the convergence point of your clients with you. They approach you with their concerns, issues and vent out frustrations through helpdesk tickets. So its management has to be prompt, efficient and customer centric. Our Helpdesk support plans helps you to ensure expert and customer friendly helpdesk support with guaranteed response and resolution time. 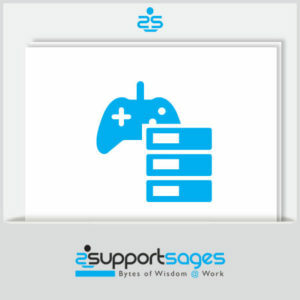 This per server Helpdesk and Backup Management plan offers 24/7 helpdesk support and backup management on per server basis. The helpdesk support covers unlimited technical support for L1,L2 and L3 tickets with guaranteed response time. The backup management plan provides assistance for backup configuration, backup scheduling, backup generation and restoration using common backup tools or products.